Śląskie province (Silesia) is Poland’s most attractive investment location. The Katowice Special Economic Zone, with 50,000 jobs and EUR4.4 bn in investments, working-age population of over 3 mln, nearly 200,000 students at 45 universities and colleges, excellent connections to other parts of Poland and Europe and traditional work ethos prove that we have the gene for success. For the seventh time in a row Silesia has been ranked as the most attractive investment location in Poland.1 The Katowice Special Economic Zone has created tens of thousands of new jobs in 35 cities of the province. Opel, Fiat, Isuzu, Agora, Famur and Mokate among other investors, have come to value human resources, attractive labour costs and best in the country transport connections and social infrastructure of Silesia. The region inhabited by 4.6 million people, has the highest population density in Poland and is the most urbanized area in Central Europe. Traditional work ethos is a good mark of the people who have worked here in industry for generations. Silesia has a working-age population of over 3 million. The province’s active business networks and dynamic market are the product of true team work. The 45 universities and colleges of Śląskie province tutor almost 200,000 students, with 60% of them studying for degrees in engineering and economics. Silesia is one of Poland’s leading centres for R&D. The first artificial heart or design initiatives are the showpieces of our creative potential. An innovative approach to business contributes to success of the firms, which operate in the province. There are 18 industry and technology parks operating in the energy, automation, electronics and construction sectors. Over 2 million creative people living in 14 cities of the so-called Silesia Metropolis create the region’s positive energy. Silesia’s densest network of expressways and motorways in Poland completes the offer. The cities of the conurbation are interconnected by a multi-lane transit road. Katowice Airport is the largest regional airport for cargo traffic in Poland. The railway terminal in Sławków is the westernmost point of the broad-gauge railway line, which connects Silesia to the Asian and Far Eastern transport system. Śląskie province has always been a strong pillar of Polish economy. Exploit the potential of the region! 30 attractive sites for investment are waiting for you: invest-in-silesia.pl. – help in establishing commercial contacts, for example by organizing economic and commercial events and business meetings, etc. The most important regional institutions are; The Regional Chamber of Commerce, Craftsmen Guild and the Chamber of Small and Medium-sized Business in Katowice, Silesian Chamber of Farmers, Górnośląska Agency of Regional Development (GARR), Upper Silesian Agency of Enterprise Promotion (GAPP) and Upper Silesian Fund. Moreover, there are loan, guarantee and venture capital funds in the region, including the Silesian Regional Guarantee Fund and loan funds conducting activities through GARR and GAPP. There are also business incubators, as well as industry and technology parks in the region. Katowice Special Economic Zone (Katowicka Specjalna Strefa Ekonomiczna S.A. – KSSE) was created to support and enhance the restructuring processes and to create new jobs in Silesia. Its main task is to promote the Silesian Voivodeship as an investor-friendly location. The zone is managed by “Katowicka Specjalna Strefa Ekonomiczna S.A.” (a joint stock company) with its registered office in Katowice. 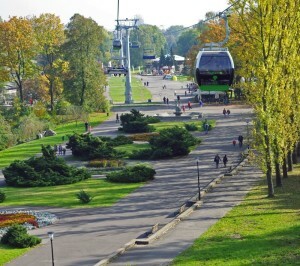 The region is a very important exhibition-fair centre in Poland. Fairs are organized in “Spodek” (“Saucer”), the largest entertainment-sport hall in Poland . At the beginning of 2008, one of the most modern facilities of its kind in Poland, the Entertainment-Fair Centre Expo Silesia opened in Sosnowiec.